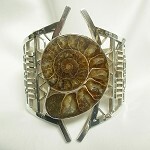 This is an original sculptural ring beautifully handcrafted featuring a natural Ammonoid fossil. 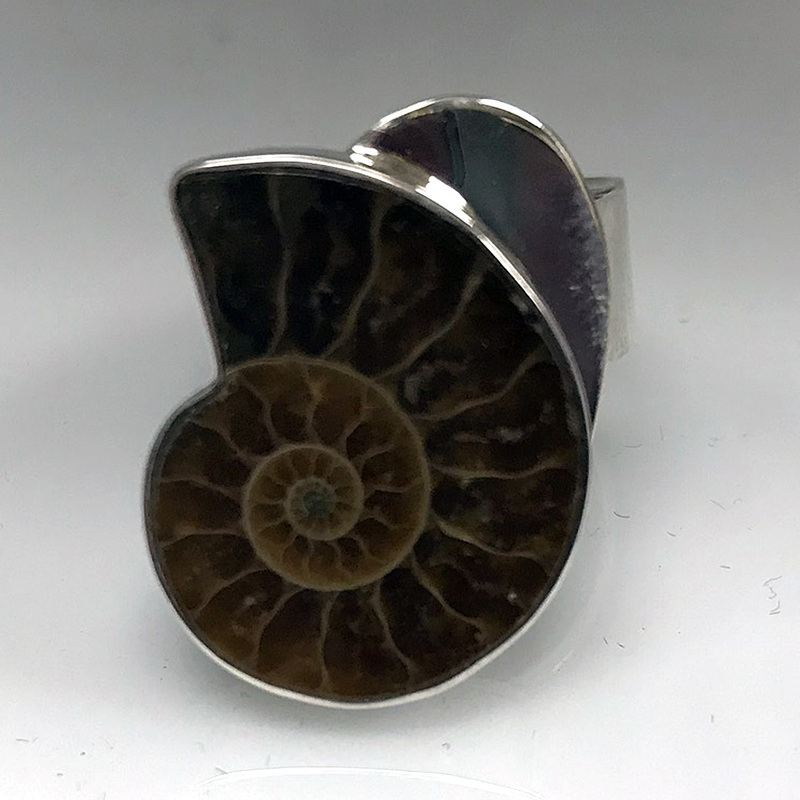 The Ammonoid fossil, also known as Ammonite, is four hundred million years old from Morocco and is fully encased in sterling silver. The wide shank in the back is designed for comfort, but also helps the ring to stay in place and to not turn around. Because of the unique design, the shank is adjustable for easy sizing. 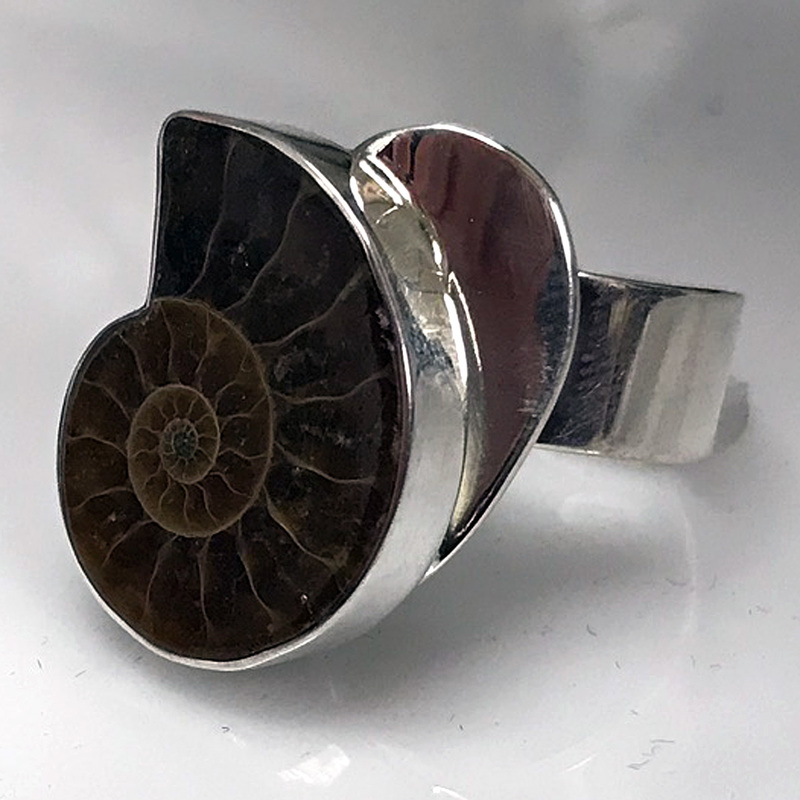 This is an original sculptural ring beautifully handcrafted featuring a natural Ammonoid fossil. 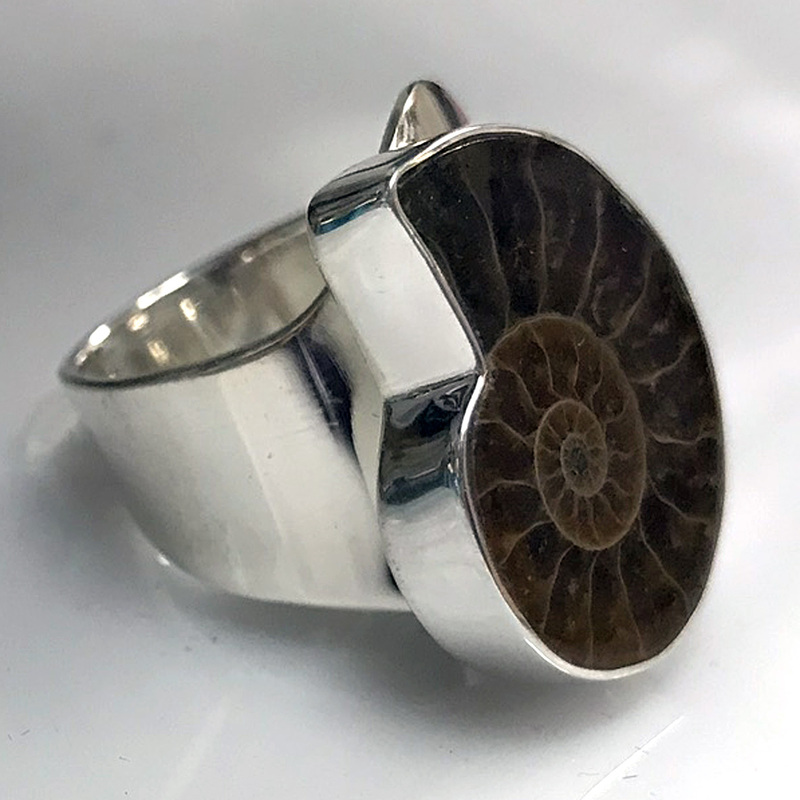 The Ammonoid fossil, also known as Ammonite, is four hundred million years old from Morocco and is fully encased in sterling silver. The wide shank in the back is designed for comfort, but also helps the ring to stay in place and to not turn around. Because of the unique design, the shank is adjustable for easy sizing. 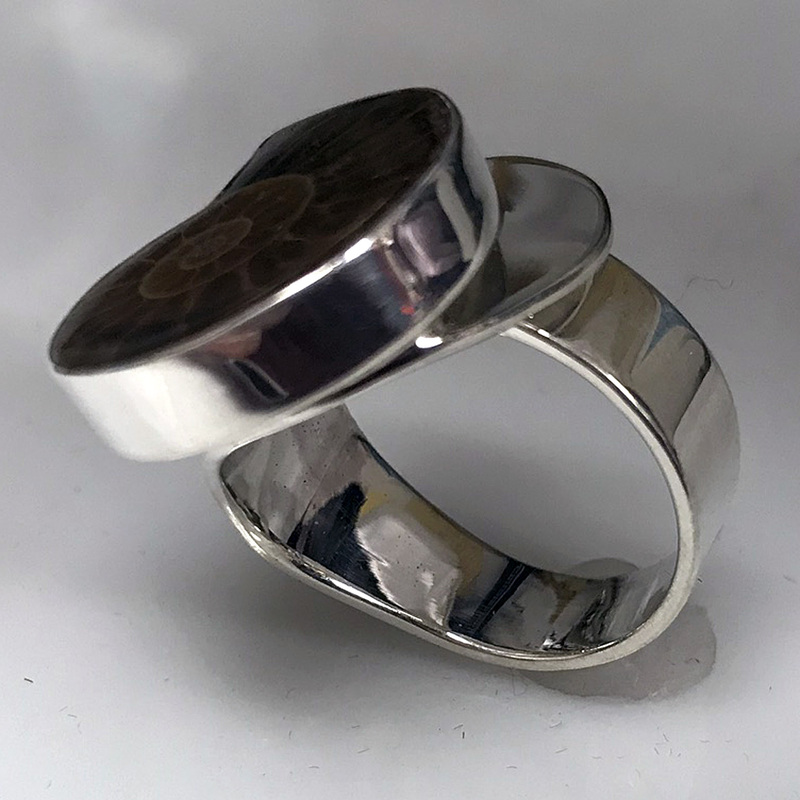 This ring will make a statement on its own or as part of a set. The ring is designed to sit low on the finger. This ring complements all of our jewelry collections. 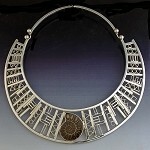 This ring measures approximately .92" long in the front. Shank in the back is .33" wide. The Ammonoid fossil is .89" long x .73" wide.